BAX Legwarmers for Bax Accessories. Now with new diamonds, colors and completely retextured! With 38 colors and endless combinations to choose from there is no better way to keep warm this winter. ✭Set the glow intensity for more or less sparkling effect. You choose your look! ✭Seven total color packages with a possibility of thirty eight color options total! 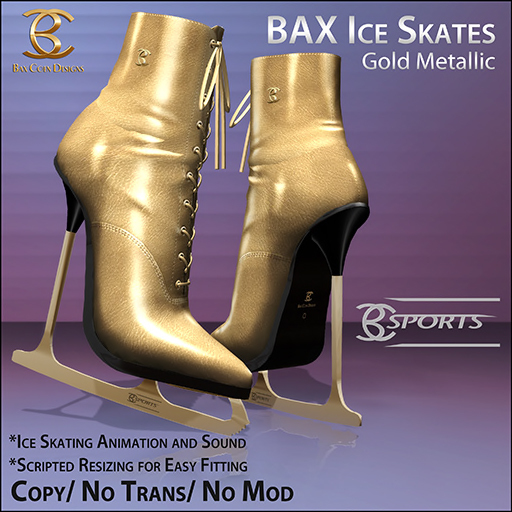 in the BAX Ice skates gold and silver and black! You asked for it, now you have it: 3 brand new colors for your favorite Ice Skates! New skate animation by Daiz PappFaster resizing, fits even very strong legs now. 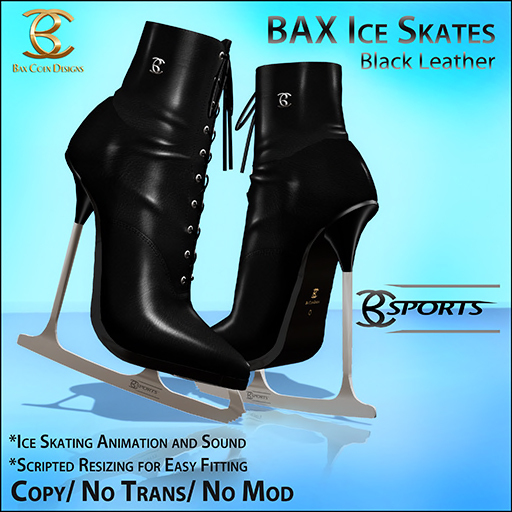 And of course, the Skates combine great with the newly released BAX Accessories Legwarmers, now in 38 colors.